It is important to have the right kind of clothing when it comes to snow sports. The jackets, for example, must be waterproof, durable, and functional in the snow. Ski jackets and snowboard jackets both provide an ample amount of protection and warmth. For some, these jackets are similar and used interchangeably. But if you look closely these jackets are different. Continue reading this article and we’ll inform you about the differences between ski jackets and snowboard jackets. A ski jacket is designed to fit close to the body. It is snug and slim-fitting. It is tailored that way since speed is the primary goal in skiing and skiers tend to do more consistent movements. The ski jacket is modeled for proper aerodynamics, to avoid drag in forward movement and for heat retention. The material used is not very thick in order to maximize velocity and provide flexibility in the shoulders and joints. The length of a ski jacket is much like a regular jacket, reaching just down to the waist. This type of jacket is sleek, lightweight, and made for comfort and mobility. In terms of style, a ski jacket usually has traditional or simple patterns. It typically comes in bright colors for easy visibility. A snowboard jacket is designed to be baggy. Snowboarders tend to have varied movements to maintain their balance, hence the need for more loose-fitting jackets. It is modeled for the thrill-seekers, providing proper reinforcement and extra protection on the tail end as well as the elbows. The snowboard jacket is made to be aerodynamic in terms of sideways movement. The length of a snowboard jacket usually reaches down to the hips, providing extra comfort when snowboarders sit on the slopes. This type of jacket tends to be a little on the heavy side. In terms of fashion, snowboard jackets are more street styled, creating a statement with their edgy designs and artistic patterns. 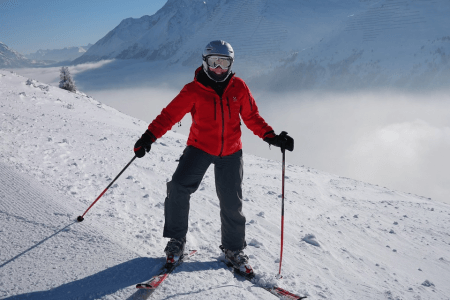 What is the difference between a ski jacket and a snowboard jacket? A ski jacket has a more snug fit and is aerodynamic in terms of forward movement. 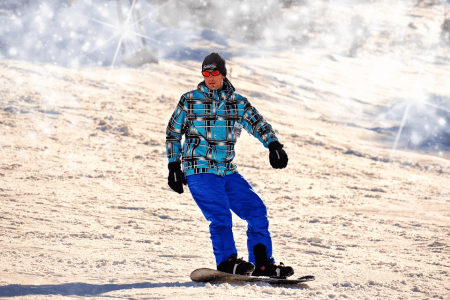 Conversely, a snowboard jacket is more baggy, loose-fitting, and is designed for proper aerodynamics in terms of sideways movement. Ski jackets are shorter and the hem is waist length whereas snowboard jackets are longer with the hem reaching to the hips. Ski jackets are more lightweight and have more traditional styles. Snowboard jackets, on the other hand, tend to be heavier and come in more edgy and artistic styles.